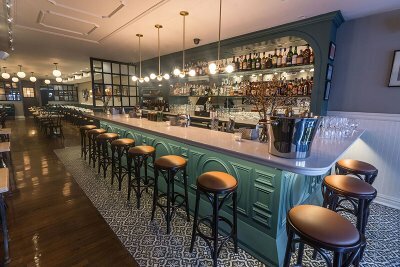 There’s a new culinary force on the Upper East Side and they’re hoping to make your New Year’s hangover a little sweeter. Little Frog, the new Parisian bistro, is debuting their New Year’s Day Hangover Frogger Platter on Sunday. 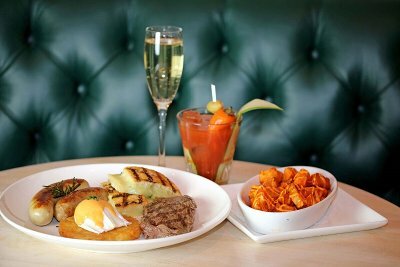 The platter is a work of art: Rosti Eggs Benedict, boudin sausage, grilled steak, breakfast sausage, Vermont bacon, truffle egg en cocotte, jalapeño grilled cheese sandwich, papas bravas – yes, that’s all on one platter! And it’s only $20.17. Happy New Year! Add beer for some ‘hair of the dog’, and the price rises to a whopping $26.17. I know I’ll be there! If a more moderate hangover remedy is in order, Chef Xavier Monge offers you his Frogger Burger, a creation honed after a decade at Minetta Tavern which, in my opinion, still has one of the best burgers in the city with their dry-aged beef Black Label Burger. Stayed out too late saying good riddance to 2016? Don’t worry if you’re not up early. Brunch will be served from 11:30-3:30pm. Bring the kids, too. There’s a special menu for them plus an à la carte menu for you so you can sample some of the other bistro fare. 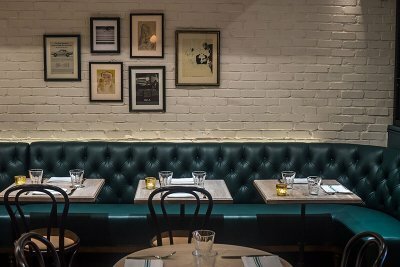 Little Frog Bistro & Bar, 322 East 86th Street, 347-537-5786, www.littlefrognyc.com.